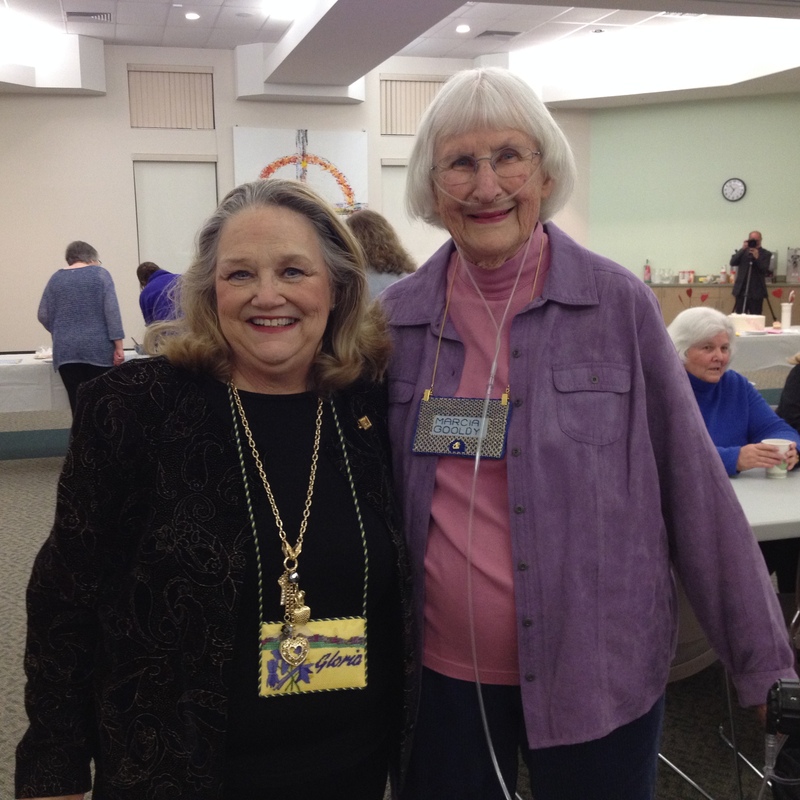 A long-time member of the American Needlepoint Guild, Marcia G., at right in above photo with our president, Gloria M., just celebrated a big birthday and we were all invited. 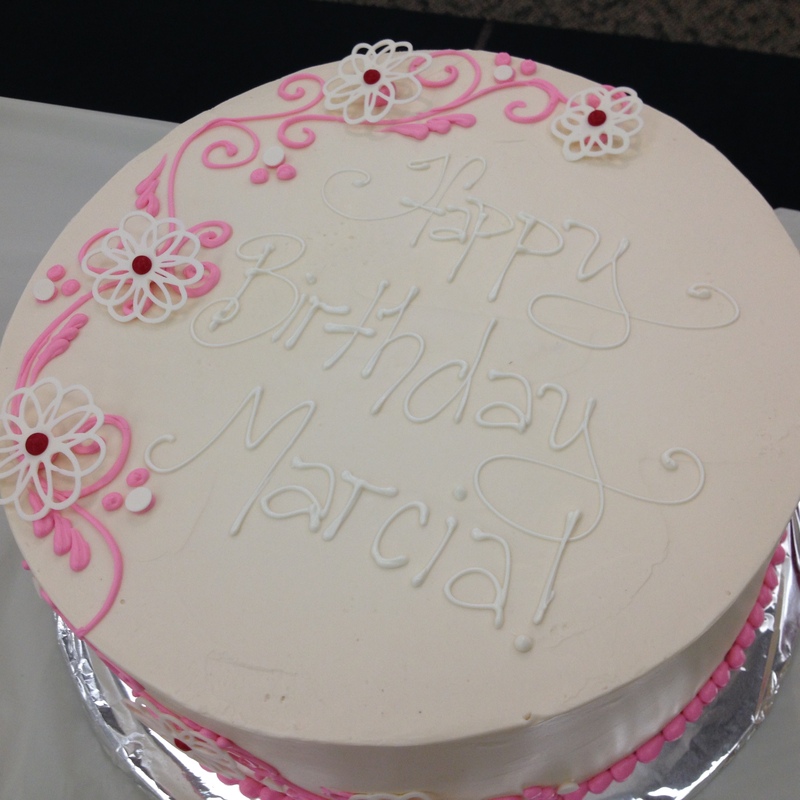 The Colorado Columbine Chapter threw a bash to remember and included all of Marcia’s family and friends to join us in celebrating her milestone. A gallery of her finished needlepoint was on display, to the delight of all. 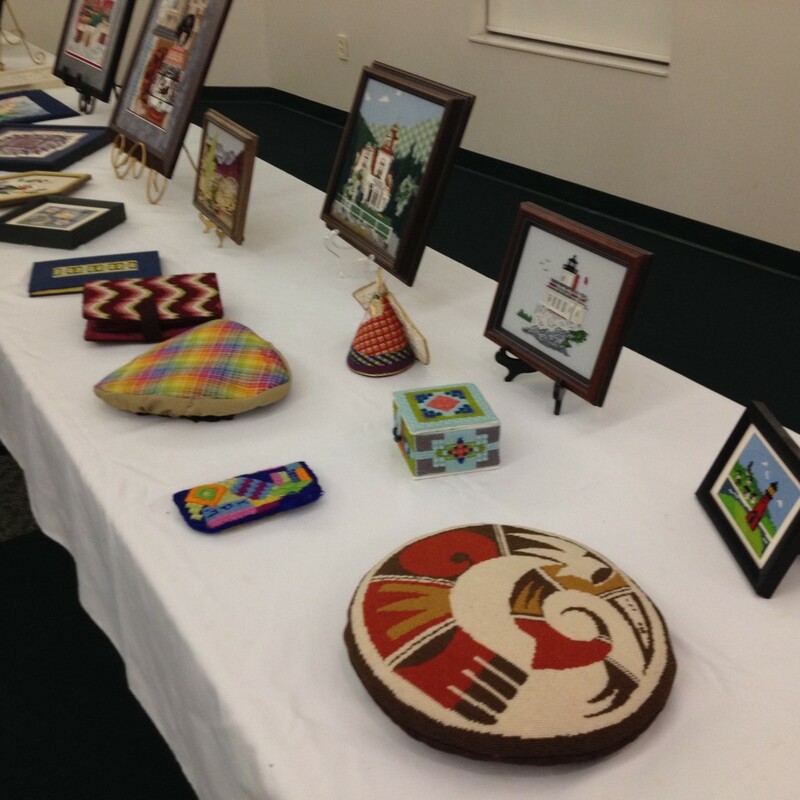 The array represented only a portion of the needlework that Marcia has produced since about 1976 when she first joined ANG. This southwest design, stitched in 1984, from the Scottsdale ANG annual seminar, shows a variety of stitches in wool and seems advanced for its era, when most needlepointers used straight tent stitches to carefully cover all canvas intersections. 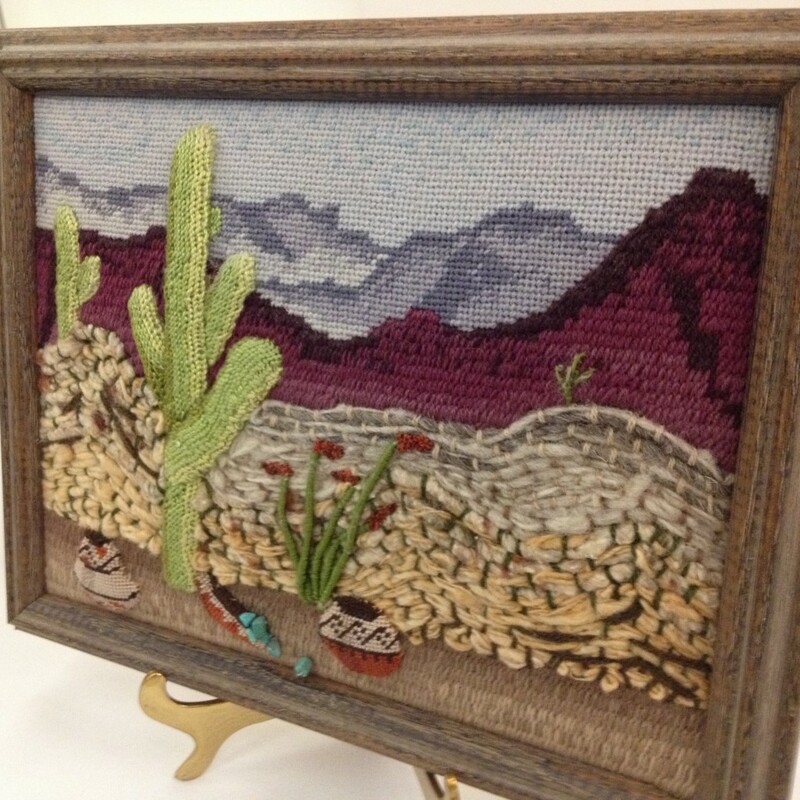 The desert scene has trapunto, couching, angled stitches, basketweave, beading and more. Notice the stones near the beaded baskets. The cactus itself is remarkable in its execution. A true work of art by Marcia. And this canvas was not alone. Members could browse among a couple dozen projects of all shapes, sizes and colors on the display table. Shown on the display table is Marcia’s very first piece, a little eyeglasses case, colorful and laden with all kinds of patterns and stitches. She designed it herself. It is edged in blue as you can see above. The piece just above it and at left is a bicycle seat! Once, she says she tossed into the wash and it came out beautifully! Marcia’s delight in lighthouses was also present. They are a particular interest of hers. Marcia has enjoyed many athletic activities such as hiking, bicycling, skiing and traveling all over the world. In fact, she has been to all seven continents on earth. She was secretary of the national American Needlepoint Guild in 1989-1991. She attended her first national convention in Santa Fe in 1978. 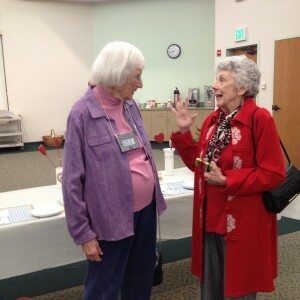 Marcia and Caela catch up. A spectacular layered cake arrived.